Where can I learn more about the Inc. 5000 companies? In its first issue in 1979, Inc. magazine published the Inc. 100, a list of the fastest-growing privately held small companies; in 1982, the list was expanded to become the Inc. 500, and in 2007, it was expanded again to become the Inc. 5000. 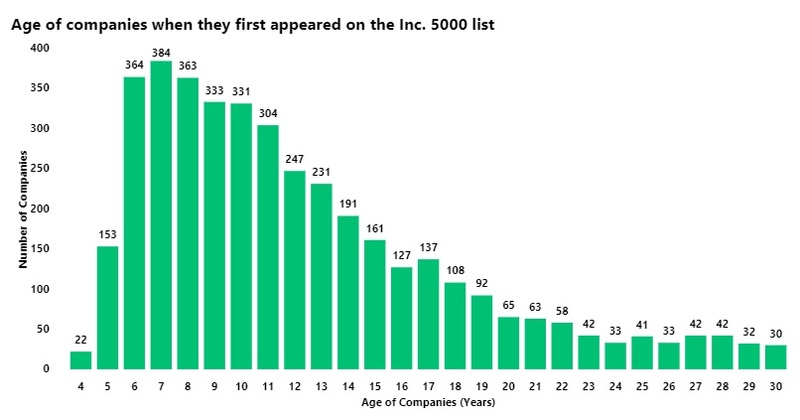 Since 2007, Texas companies appearing on the Inc. 5000 list have ranged in age from 4 to 30, with the most common age being 7 when they first appeared.